The EQT Real Estate I fund continues to invest in established European office markets and today announces the acquisition of a multi-let office property located at Rue du Chateau des Rentiers in Paris. The seller is an affiliate of Jerusalem Economic Corporation, an Israeli stock exchange company. The 13th Arrondissement is an attractive mature area predominantly occupied by French and international institutional tenants. The site is within close proximity to key Metro lines and the area has benefitted from strong investment in recent years. The asset, built in 1987, comprises of 13,600 square metre of office and storage space, a corporate restaurant and 245 parking spaces. The property is fully let to tenants at competitive rents. 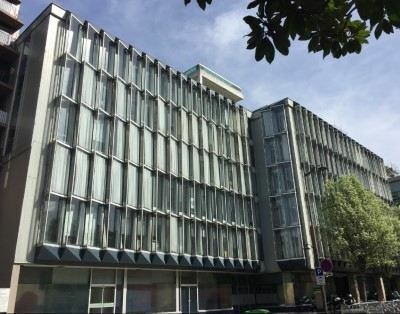 Olivier Astruc, Director at EQT Partners and Investment Advisor to EQT Real Estate I, says: “Rue du Chateau des Rentiers presents a rare opportunity to upgrade an historic office site in an attractive inner Paris location. This acquisition further underpins our investment strategy to deliver grade A assets fit for modern occupiers and institutional investors”. Robert Rackind, Partner and Head of EQT Real Estate at EQT Partners and Investment Advisor to EQT Real Estate I continues: “The Rue du Chateau des Rentiers investment is exactly what EQT Real Estate is all about – underinvested assets in European gateways cities with several value add angles. We see more opportunities than ever for the fund to continue on this successful track and take advantage of the sustained global demand and local needs that exists in these markets”. EQT Real Estate I was advised on the acquisition by investment advisors Syzygy Advisors, notaries Lasaygues & Associés, acquisition and debt lawyers Ashurst, structuring advisors Arsene Taxand, capital market advisors Savills, technical advisors JLL Project & Development Services and project managers (AMO) Builders & Partners. Etoile Property Management will be property manager for the asset. Aareal Bank financed the acquisition and was advised by notaries Allez and lawyers De Pardieu Brocas Maffei. The vendor was advised by its asset manager Etoile Property Services and by Maitre Virginie Jacquet, 1768 Notaires.